Niigata Linux was a Fedora-based Japanese Linux distribution designed as a web application environment for web development with Apache and PostgreSQL. 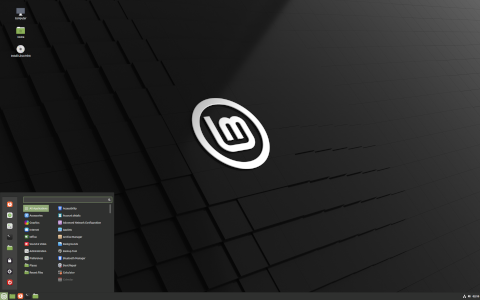 Rate this project The Linux Mint team has announced a new update to the project's 18.x series. The new version, Linux Mint 18.3, is a long term support release and will receive updates through to the year 2021. The new release features an updated software manager which makes it easier to install third-party applications and should be noticeably faster. This release also includes Flatpak support and the software manager can work with Flatpak packages. "Popular software applications such as Spotify, WhatsApp, Skype, Google Earth, Steam or Minecraft are now featured and very easy to install. The user interface looks more modern and its layout is inspired by GNOME Software. It's simpler, more consistent than before and it makes the application look much cleaner. The Software Manager is now also much lighter and faster than before. It no longer uses Webkit, browsing categories and apps is almost immediate, and it launches 3 times faster than before. The backend was ported to AptDaemon and the Software Manager now runs in user mode. Consequently you do not need to enter any passwords to browse applications, and if you enter a password to install or remove an app." Further details can be found in the project's release announcements for the Cinnamon and MATE editions. Download (pkglist): linuxmint-18.3-cinnamon-64bit.iso (1,811MB, SHA256, signature, torrent, release notes), linuxmint-18.3-mate-64bit.iso (1,834MB, SHA256, signature, torrent, release notes). Also available from OSDisc. The Linux Mint team has announced the availability of a new development snapshot for Linux Mint. The new testing snapshot, Linux Mint 18.3 Beta, features several overhauled applications. The software manager and backup utilities in particular have been given a new look. Linux Mint now makes it easier to install third-party software, such as Google Earth and Steam, and Flatpak packages can be installed through the software manager. The new beta also features operating system snapshots using Timeshift. "Linux Mint 18.3 features Timeshift, a tool dedicated to system snapshots. Timeshift is the perfect companion to the Linux Mint Backup Tool. It doesn't save your personal data, it saves everything else. Thanks to Timeshift you can create backups of the operating system itself. You deleted system files by mistake? You can recover them. You upgraded to a newer release and something isn't working well anymore? You can go back in time." Further information can be found in the project's release announcements for the Cinnamon and MATE editions. Download (pkglist): linuxmint-18.3-cinnamon-64bit-beta.iso (1,815MB, SHA256, signature, torrent, release notes), linuxmint-18.3-mate-64bit-beta.iso (1,836MB, SHA256, signature, torrent, release notes).